Our mission is to create a viable future for the Armenian people where its culture and language are preserved and valued. As a non-partisan Foundation, above the political fray of the Armenian world, we are in a unique position to influence through our funding priorities culture, education and learning in ways that enhance the Armenian nation globally. We are best placed to achieve such transformative change, particularly in the diaspora, because of our financial and political independence and track-record of philanthropic work over many decades. We must go beyond conservative approaches, take risks, and embrace new ways of contributing to Armenian society. Through this Plan we seek to turn the Department into a transformative agent within the global Armenian community so that its future is more viable. The Five-Year Plan is the “road map” of where we want to go over the next several years. It lays out the foundation of our activities and funding priorities. Our consultative process affirmed many of the needs outlined in the below priority areas. On the whole, we will continue to provide university scholarships, support Armenian studies as well as schools and cultural production. But we will put more emphasis on contemporary issues and topics in the research and publications we fund. Promote the preservation of the Armenian language and culture, and the development of the diaspora by linking its different parts and by investing in education. Supporting Armenia by investing in its youth and civil society. Improve Armenian-Turkish relations by sponsoring projects that encourage a common understanding of their long shared history. 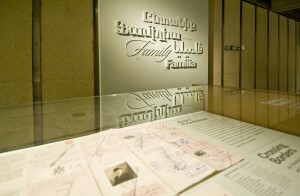 Preserve and make available the Armenian literary heritage (Publications). However, the most important issue that we identified during the consultative process that requires urgent attention is the loss of Western Armenian as a living language. We will develop significant programming around this issue, to reinforce the language and give it a viable chance to survive. In fact, strengthening Western Armenian – the language that Calouste Gulbenkian spoke – frames much of this Programming Plan. 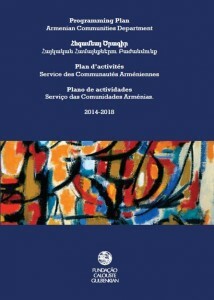 The last guiding principle was the need to bring the department in line with best philanthropic practices, with clear objectives and measures, a focus on impact, systematic evaluation, and an inclination towards partnership as the default – both with other Armenian and non-Armenian organisations and with other parts of the parent organisation.